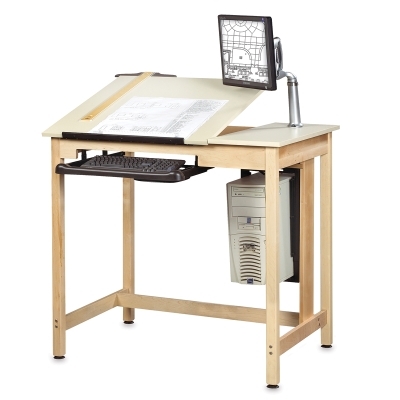 The drawing table with drawers includes a six-drawer storage box. Drawers are built to last using dovetail joints. Each drawer is lockable and measures 7½" W × 2¾" H × 16" D.